Available from Whitlands Engineering , WS150 wood splitters are particularly suited to domestic, farm, hire or semi commercial applications. 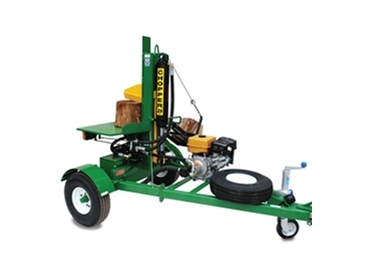 Featuring a robust construction, these midsize wood splitters have a large work bench and a cable operated log lifter which has a capacity of 150kg. An innovative double handed control system improves safety by ensuring hands are kept away from moving blades. WS150 wood choppers also feature a 9hp engine fitted as standard; however, a 6hp engine can also be supplied. The 9hp engine delivers a huge 21 tons of splitting power and a 7 second cycle time. More information on WS150 wood splitters is available from Whitlands Engineering.